The Indian Express travels to villages in Punjab, Bihar and Himachal Pradesh to meet families of men missing from Iraq for two years. 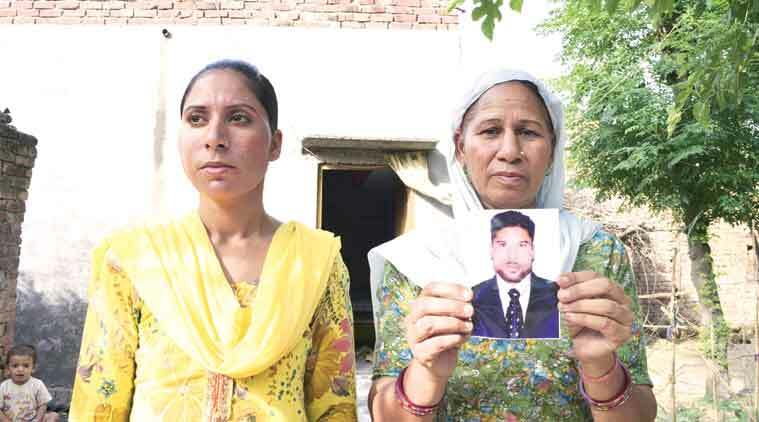 LAST CONTACT WITH GOVERNMENT: In February, when External Affairs Minister Sushma Swaraj reiterated her assurance that the missing men were safe. “I told Sushma ji, nobody is bothered about the families of the four persons from Himachal Pradesh,” said Pardesi Ram, who has also met Kangra MP Shanta Kumar and made representations to Chief Minister Virbhadra Singh and MP Anurag Thakur. The family wants the Himachal government to provide monthly relief like Punjab has been doing. Inderjeet’s brother Subhash too had got stranded in the Middle East — in South Arabia, where he had been working for six years. “The company became defunct and the owners fled without clearing our dues,” said Subhash. “Several Indians were left jobless and practically starving for months until the Indian embassy came to our rescue.” By the time he returned in December 2015, the family was worrying about its youngest son. LAST CONVERSATION: June 15, 2014. “He told us, ‘Wait for me, I will come back’,” Anita said. “Even the grounds where we are cremated will wait for him,” Surinder Kaur said. “We do trust the government but would like the government not to betray our trust either,” Anita Rani said, while her children played around the house, the son having been born after Gurdeep had gone to Iraq. 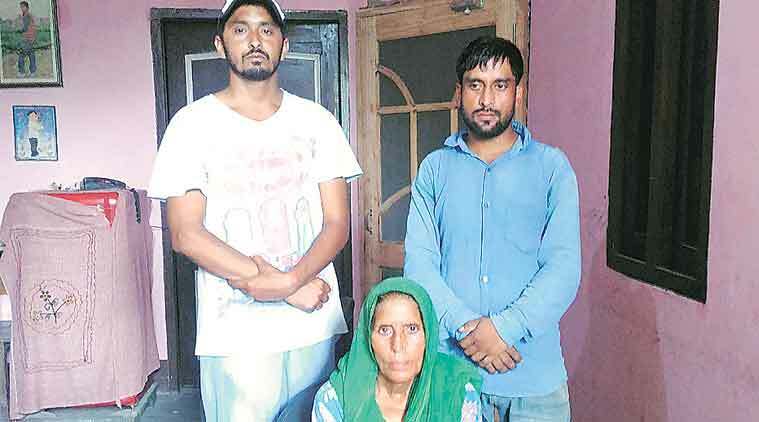 FAMILY: Wife Amarjit Kaur, 40, teen children Amandeep Singh and Karandeep Kaur at Murar village in Kapurthala, Punjab. LAST CONVERSATION: June 15, 2014. He told his wife he had been taken hostage with many others and asked her to take care of herself and the children. It was for the education of the children that Gobinder had gone to Iraq. At home, Gobinder was earning Rs 6,000 to 7,000 from a distillery. “We felt it was not enough for a proper education, so he took a loan of Rs 1.60 lakh and went to Iraq. 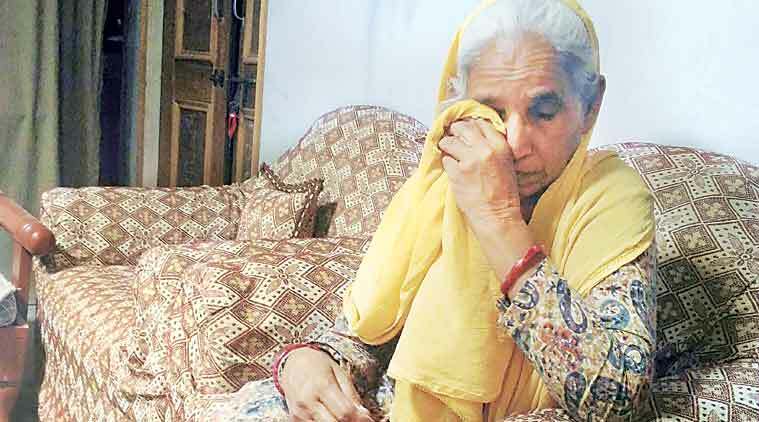 He sent home around Rs 85,000 in eight months before he got abducted,” Amarjit Kaur said. 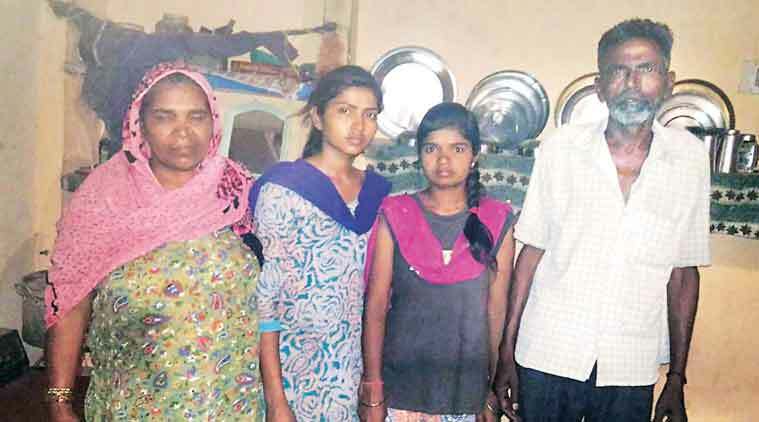 FAMILY: Sandeep’s parents Sumitra and Tarsem, 50 & 55, four younger sisters (two married) and brother Balraj, 25; at Aliwal village in Jalandhar, Punjab. Nand Lal (Sumitra’s brother) has no family surviving at Talwan village in same district. LAST CONTACT WITH GOVERNMENT: In February. “We asked Sushma Swaraj, if her sources said the men are fine, then why isn’t any one of them being able to speak to his family?” Sandeep’s father said. The uncle had gone earlier and encouraged the nephew, eldest of six siblings, to join him in Iraq. 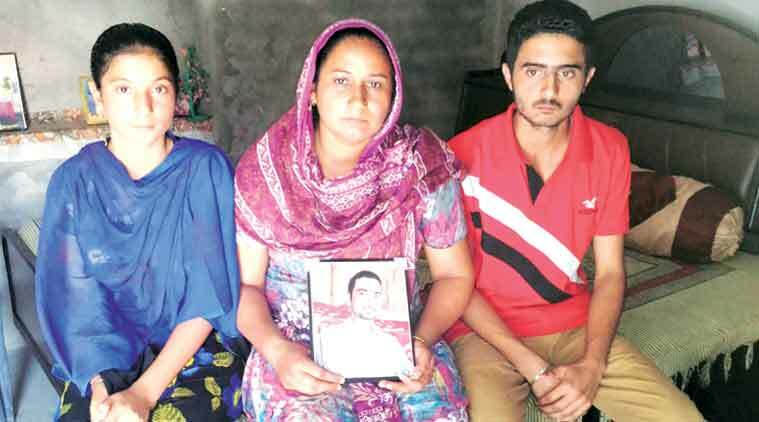 “My brother Nand Lal called Sandeep to Iraq as he was working in the same company,” Sumitra said. Nand Lal, divorced, has no children. Like most others, Sandeep Kumar took a loan: Rs 1.60 lakh. He sent home Rs 58,000 before he was kidnapped. Sandeep had also worked in Doha for a year and a half. Today the family has just one earning member, younger son Pradeep Kumar who works on construction sites, besides getting Rs 20,000 as monthly aid from the Punjab government. LAST CONVERSATION: On June 13, 2014, with Poonam and Neelam. “He would call almost daily and ask about his children. 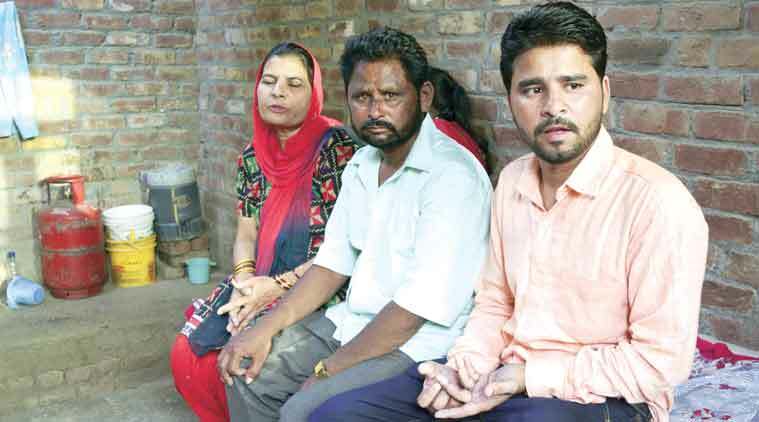 He was excited about returning in August.” On June 16, Sahsaraon’s Pappu informed the family that he had got a call that his brother Santosh, Vidya and others had been abducted. 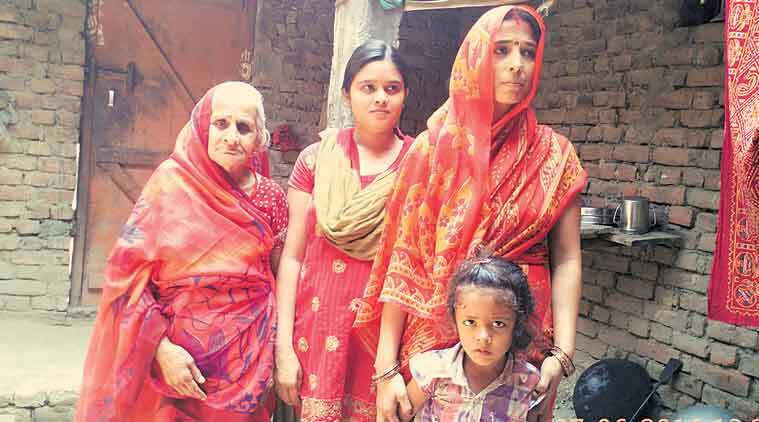 LAST CONTACT WITH GOVERNMENT: In February, Santosh’s uncle Purushottam Tiwari met External Affairs Minister Sushma Swaraj. She repeated her assurance of bringing home all abducted people, the family said. There has been no communication from the state government; the family has met Siwan’s DM and SP, and the chief secretary. Madhusudan Tiwari died of a heart attack last year, waiting for his only son to come back home. 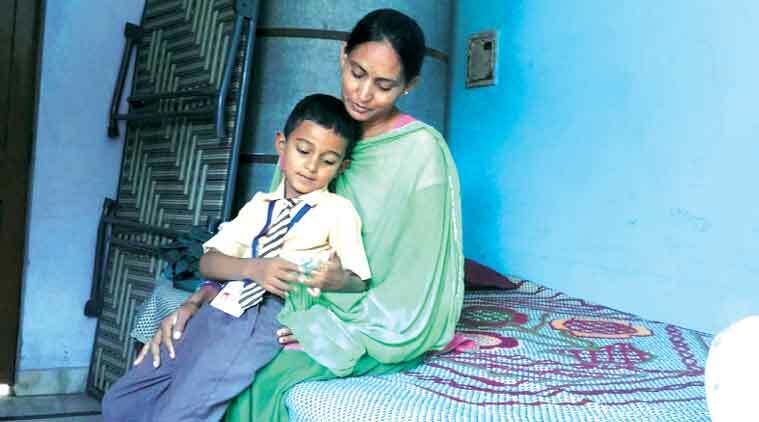 Four-year-old Tanish, born months after Vidya left, is still waiting, having been told by his mother that his father has gone out to work far away and will be back soon with a lot of toys. His seven-year-old sister, who had sent a wish-list to her father, has since sensed something is wrong. Over 25 per cent of the village’s youths migrate for jobs and at least 20 villagers are working abroad. No one, however, has gone to the Middle East since Vidya and Santosh went missing. LAST CONVERSATION: June 15, 2014; “he told me they were being taken somewhere”. LAST CONTACT WITH GOVERNMENT: In February. “I asked Sushma Swaraj why she was not bringing my son back,” said Harbhajan. Of Harbhajan’s two other sons, one is working in Saudi Arabia and the other in Dubai. Harbhajan, Usha and the wife of another son live in the house now. Usha earns a little by stitching clothes. LAST CONVERSATION: On June 15, 2014. “He was crying on the phone and said he wanted to come back,” his mother said. On a wall hangs a photo of Jasbir with rakhis tied around it. 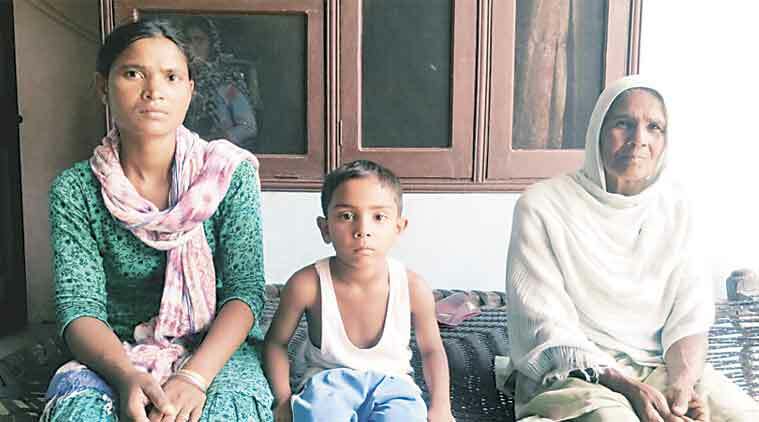 Since Jasbir went away, his two sisters have been tying rakhis there every year, never giving up hope that he will return, their mother explained. Jasbir had followed two of his elder brothers to the Middle East, one having worked in Lebanon and another in Bahrain before both returned.